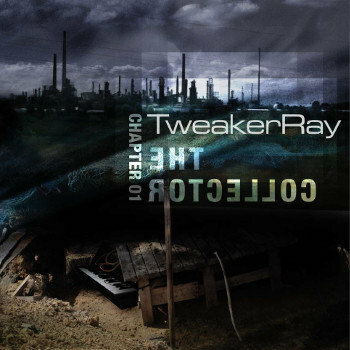 The new album is available as limited edition CD. It can be ordered directly from the artist. Only 500 pieces are made. 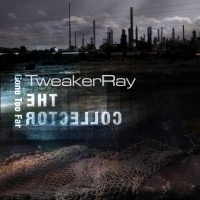 You can buy it directly from this page (just scroll down) or go to the [ Bandcamp ] Profile. a 12 Page Comic Noir Booklet with all lyrics and the fantastic artwork by [ Fotonixe ]. 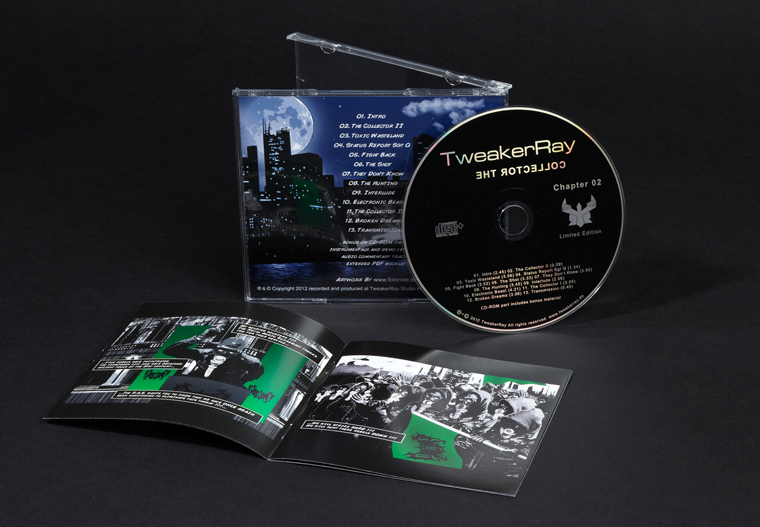 The CD has a CD-Rom part with over 50 minutes of Audiocommentary + extended PDF Booklet + instrumentals. The CD-Rom part also includes the demoversions for a deep insight at the creation of the tracks from demo to final track. And with the [ ReMixkits ] you can even do your own remixes of the songs. 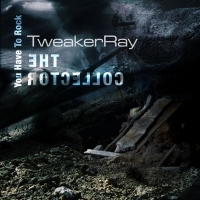 And to make this even a little bit more personal: All CDs can be handsigned by TweakerRay with your name. 1) You will need a paypal account !!! Paypal is fast, safe and easy. You might already have an account you use for ebay. There is no other way we could handle it. And you will order the Deluxe CD for 12.99$ + 5$ Shipping = 17.99$. Don't forget to tell us your name and if you want to have your CD's signed. If you want your CD signed. and we figure it out and will help you as soon as possible. 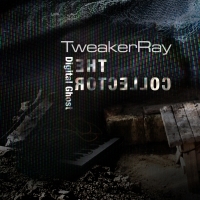 so you can enjoy the digitally deluxe version while waiting for the CD. (Please have a little patience, when you don't get an instant mail. 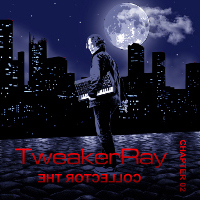 Thanks for supporting my music directly !!! 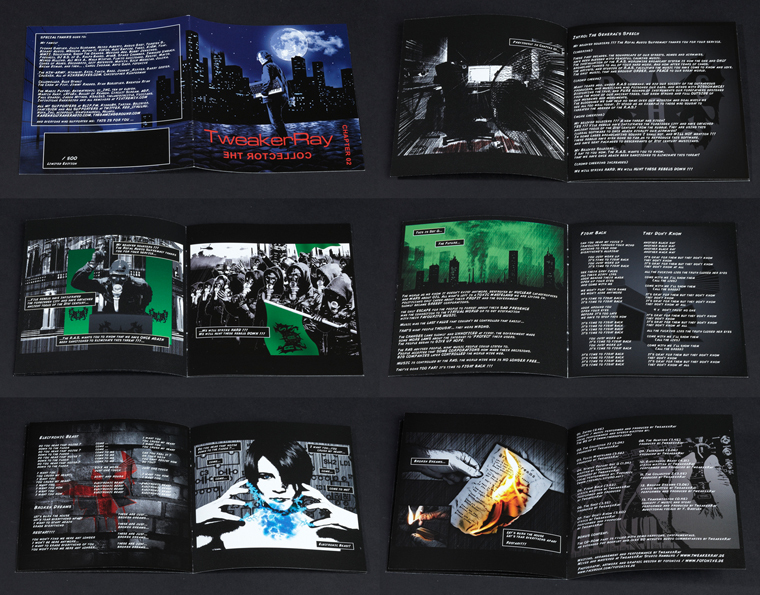 The CD includedes a 12 Page Comic Noir Booklet with all lyrics and the fantastic artwork by [ Fotonixe ]. 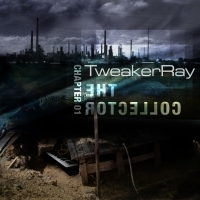 TweakerRay's 3 Track EP: The Collector Chapter 01 is also available at [ Bandcamp.com ]. making this release even more interactive. to get access to a little bonus on top. (Artwork of The Collector: (Chapter 01) by: Vetter Itt.